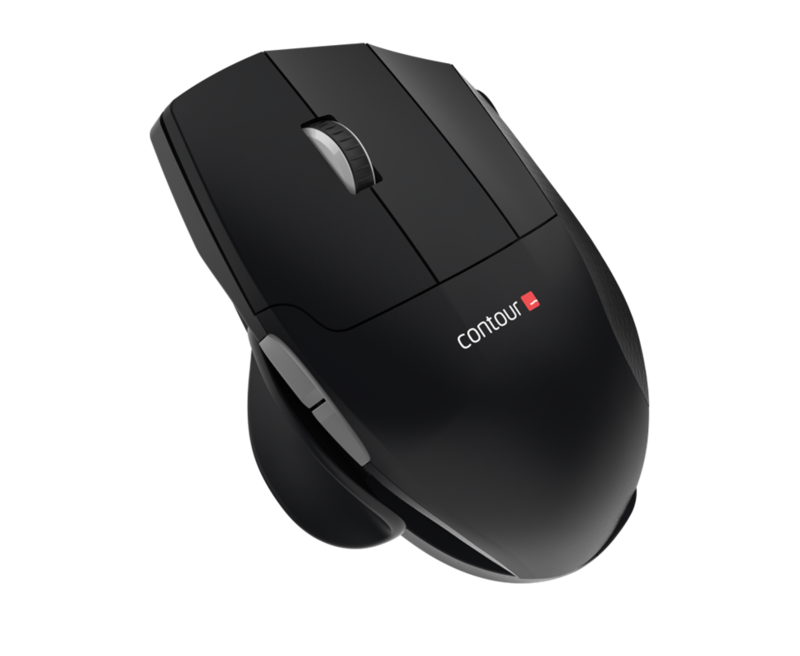 The Contour Rollermouse Free3 is the most polished, well-rounded mouse in the Rollermouse range. The Free3 model is designed to suit all hand sizes and delivers ultimate comfort with its increased padded wrist support. The Rollermouse Free3 provides powerful palm support with a range of different options that help deliver an effortless user experience. The support helps align the upper body while reducing muscle tension in the wrists, arms and neck. The Free3 is perfect for sit-stand desks thanks to the ability to encourage a healthy posture and keep the body in a neutral position. Equipped with 10 different cursor speed options to help improve your productivity, the Free3 operates on two primary functions. To operate the left click simply press down on the rollerbar. To control the cursor movement, move the rollerbar from side to side. Rest assured knowing that the long-lasting battery will provide you with increased comfort for the entirety of your work day.